With millions of word press powered websites and blogs, programmers and developers are continually striving to bring to surface innovative and unique word press themes. The HTML5 and responsive themes are at the lead now days and users can expect to witness tons of responsive and HTML5 focused word press themes in the coming year. “Responsive” style was the 2012 theme for the WP themes. Responsive styled themes deliver to your audience single style themes that respond to tablet, phones, laptops, and desktops that access your blog or website. In year 2012, the main focus was on developing and launching responsive set of themes for word press. The flexible theme is to date the most desired responsive theme introduced in year 2012. Flexible theme developed by Elegant Themes is a beautifully designed theme that appears fresh to eyes and is a true model of responsive themes. The flexible theme is a component of the elegant themes club; this means that users will be having access to other eighty premium elegant themes at the price of just 39 US dollars. It’s a high tech magazine WP theme that is highly responsive and will attract visitors. With crisp and cleaner navigation, lucid will assist visitors at your site in a friendly way. This superb and responsive magazine theme is available for just fifty cents. The evolution is another fantastic responsive styled theme created by elegant themes. In line with the typical conventional layout of web pages, evolution theme is all you want with amazing features such 4 color scheme, e-Panel framework, and many other. This theme is developed by Good layers at Theme Forest. With amazingly styled drag & drop builder, this theme is one of the most desirable responsive WP themes for year 2012. Supporting a responsive style that appears superb on laptops, mobile phones and tablets, modernize is a beautiful example of responsive design. The aware theme delivers a cleaner and minimized layout for your web pages. This theme is an ideal WP responsive theme for those web masters and developers who believe minimalist design is the best. The reaction theme is ideal for dark WP theme fans. The world of web crowded by white and gray colors, reaction theme is a dark shade responsive styled theme that appears awesome on every device whether desktop or mobile screen. If you are lover of dark colored WP themes, then “Reaction” would be the best choice for you. The pixel power theme is based on the responsive design and boasts post formats with tiny icons for every respective segment. If you are searching for a responsive WP theme that features “post formats” then Pixel Power theme would be the best recommended theme. 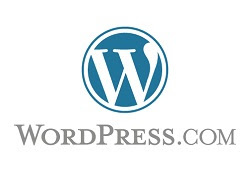 Word press has provided us the most convenient and innovative ways to style and manage our sites and blogs. With newer updates, features, themes and templates, word press will greatly change the life over web in the coming future! This content is brought to you by Exam Key. Are you seeking for this 642-813 test question assistance? Let’s get the advantage of 642-874 test questions and pass your IT certification exam on first attempt with 100% money back guaranty.